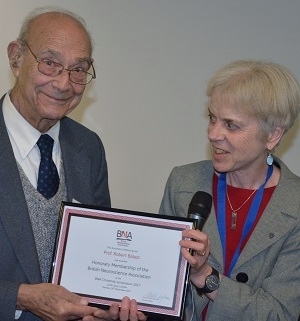 The BNA are delighted to award honorary BNA membership to three of the founding members of the BNA, formally known as the Brain Research Association (BRA): Professors Steven Rose, Robert Balazs and John Lagnado. 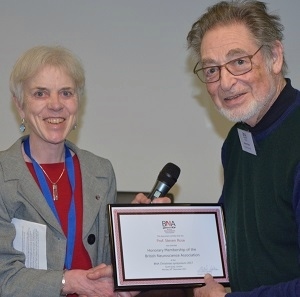 ‘In tune with the newly evolving neuroscientific interest and approach nationally and internationally a group of four scattered but London-based brain researchers, i.e. Steven Rose, Robert Balazs, John Dobbing and John Lagnado, initiated in 1965 a Discussion Group on brain research topics of multidisciplinary interest. They met regularly in the convivial atmosphere of The Black Horse Pub in Rathbone Place, London." This early, informal gathering of researchers who were interested in the brain set the stage for the later formalisation, in 1968, of the Brain Research Association - what is now the British Neuroscience Association. Furthermore, four members of the eight members elected to form the BRA's first Organising Committee were Black Horse Group members, including the first Chairman (Pat Wall) and Treasurer (John Dobbing) respectively, thus significantly influencing the subsequent development of the BRA. 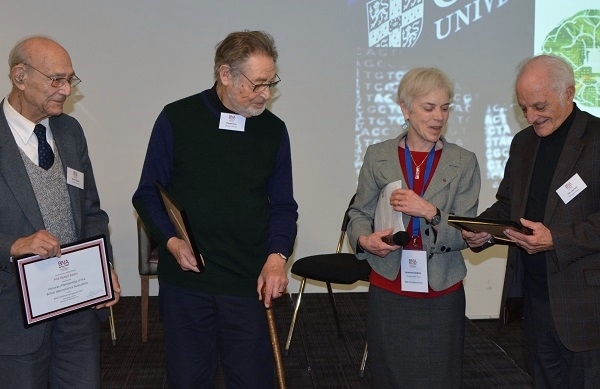 In recognition of the pivotal role that the Black Horse Group played in creating the BNA, we were delighted that three of its original members were able to attend the BNA Christmas Symposium in person to be awarded their honorary membership. 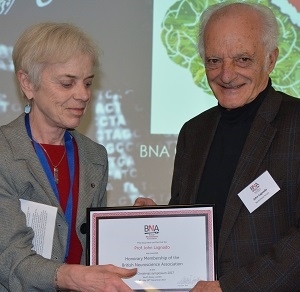 Shown left to right below are Professors John Lagnado, Robert Balazs and Steven Rose, each receiving their award from BNA President-Elect Professor Annette Dolphin. You can read more about the history of the BNA online.